We have heard a lot about Apple's manufacturing outsourcing, where the firm has ~500,000 people subcontracted via Foxconn in China to crank out its iPhones, but very little about its IT outsourcing habits. So... does Apple also leverage large scale IT outsourcing? If answer is yes, then what kind of IT outsourcing is done by Apple, and how it has been changing with time? With these questions in mind, our ever-curious India-based analyst (note: also keen novelist now seemingly developing a penchant for investigative journalism), Pareekh Jain, started studying Apple's IT outsourcing initiatives, and the results surprised us: Apple doesn't outsource its core software technologies that go into its products, but it does outsource Enterprise Applications, Business Intelligence, ADM and other software initiatives to a combination of TCS, Infosys, Wipro, TechMahindra and Exilant (which we know of). 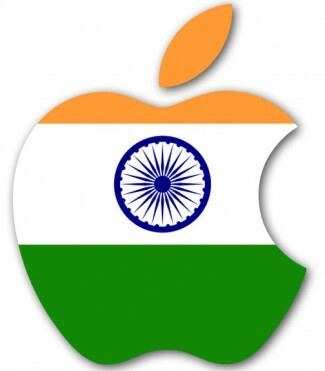 Quite simply, as Apple is growing, so is the scope of its Indian-centric IT outsourcing to support it's ever-increasing needs. Another related aspect that cropped up during Pareekh's research, is the increasing use of global engineering talent by Apple. According to our estimates, Apple leverages Indian engineering talent heavily as indicated from its sizable H1B and GreenCard applications. We shared our research findings with Times Of India (The World's largest English daily newspaper), which went as far as a story on this interesting little topic on today's front page. Well its perhaps the population silly :) India and China make up for almost more than 1/3rd, isn't it? @Yatin: The great "American" innovator is truly innovating at globalized production, sales and distribution. You have to wonder how much of the company will be left its "homeland" in another three years!